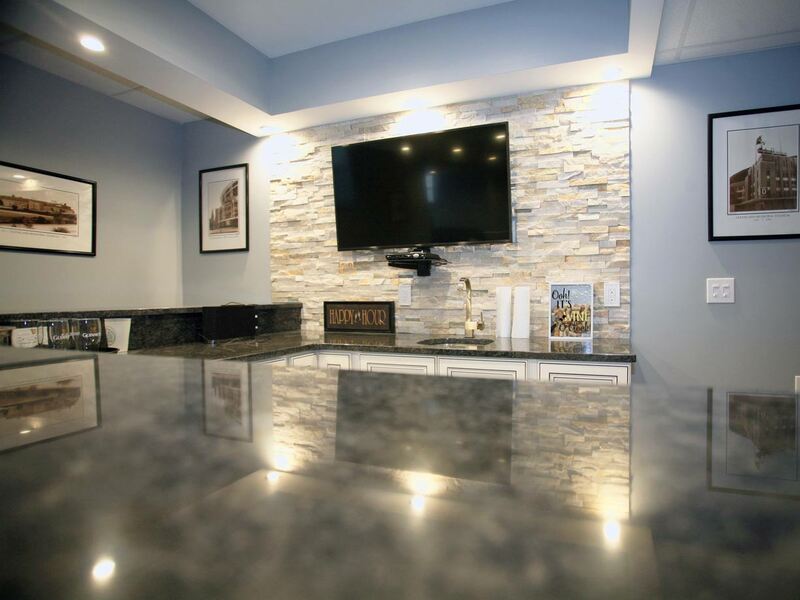 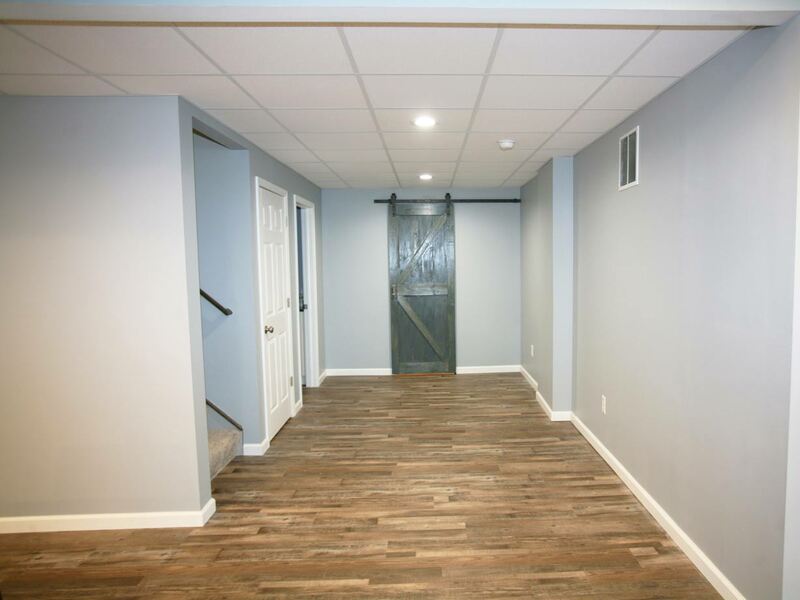 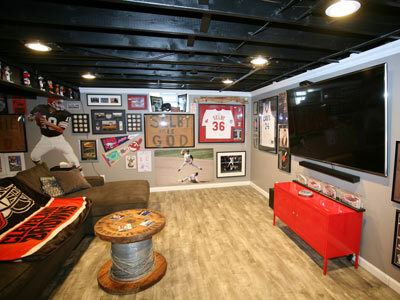 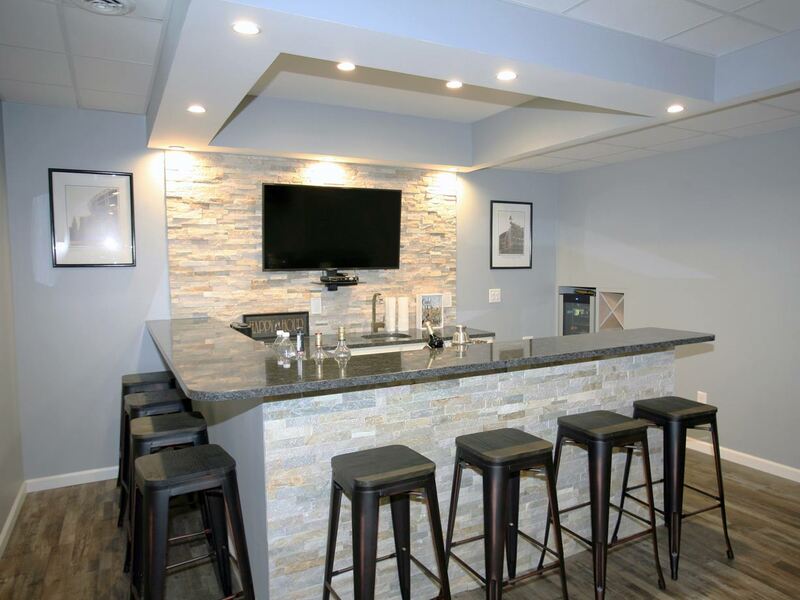 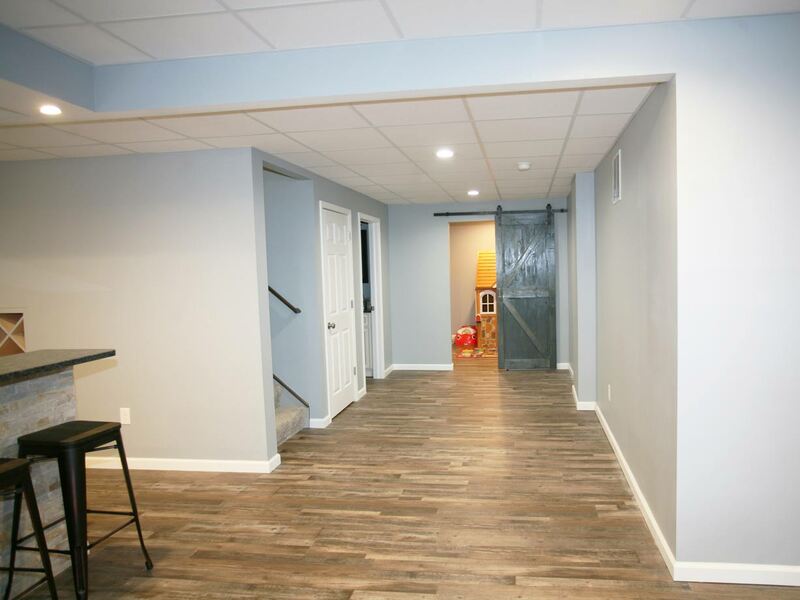 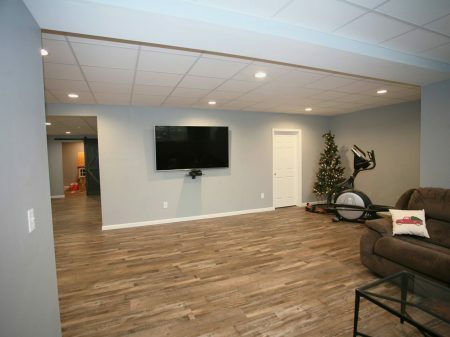 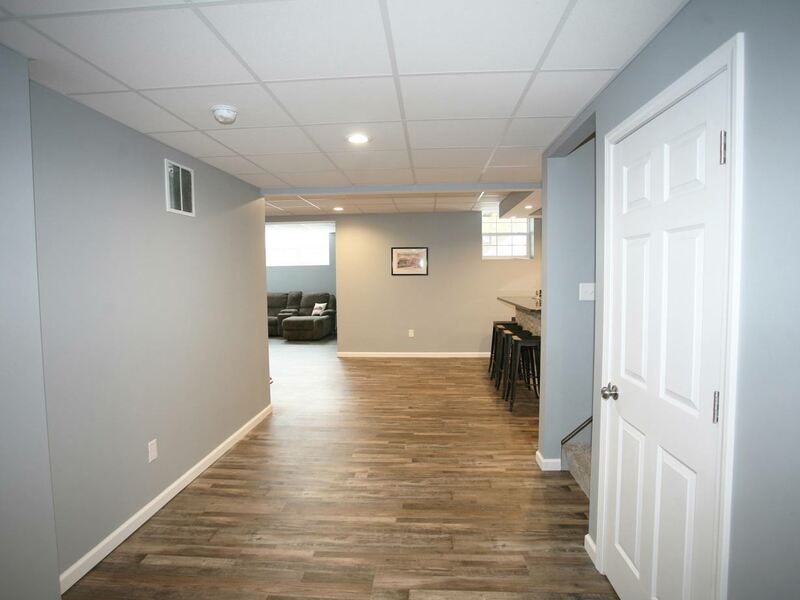 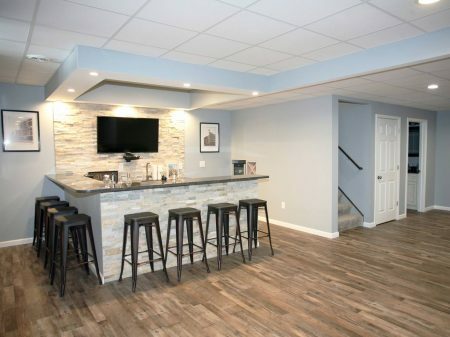 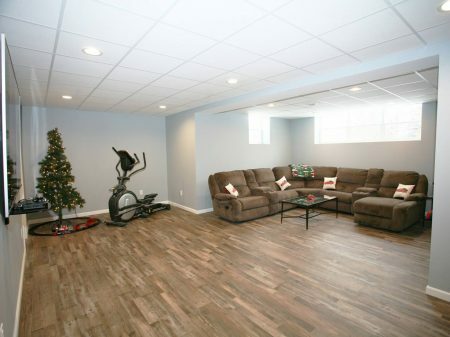 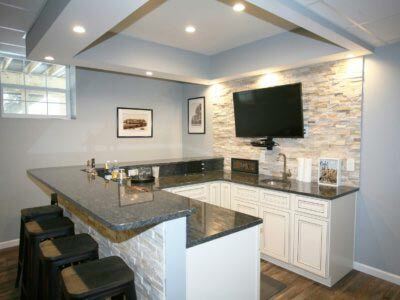 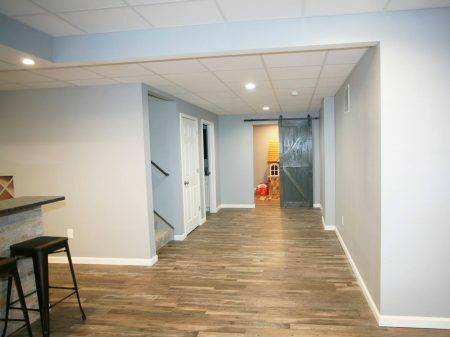 Custom design-build finished basement located in Highland Heights, Ohio. 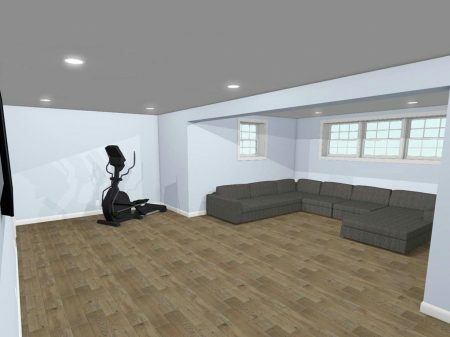 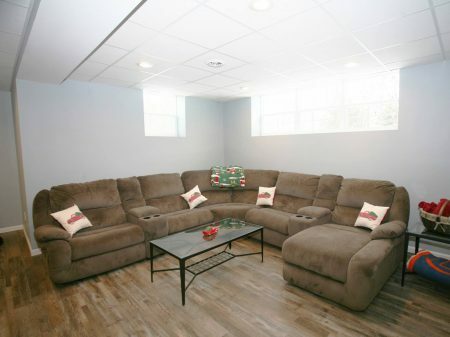 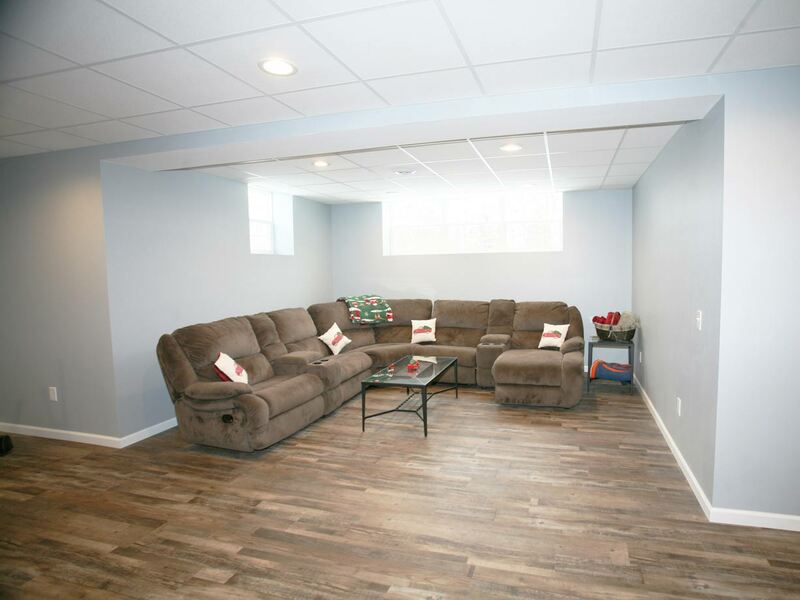 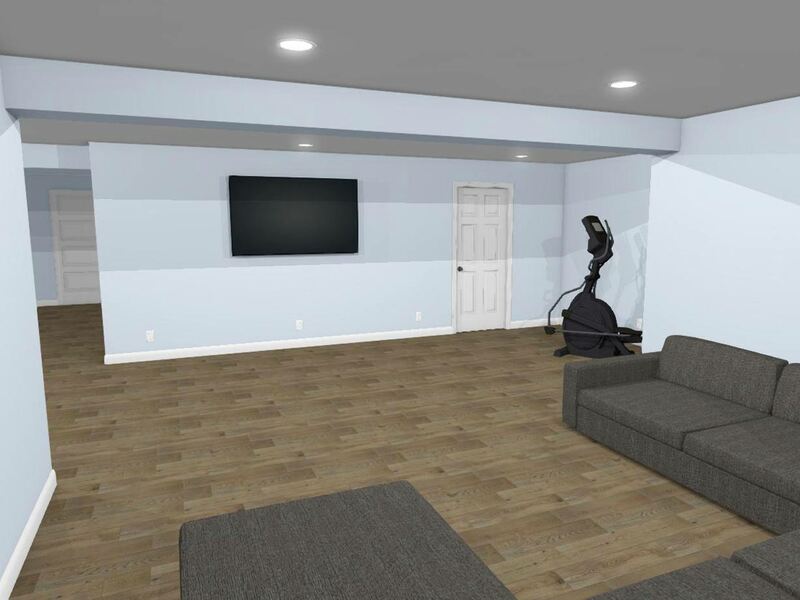 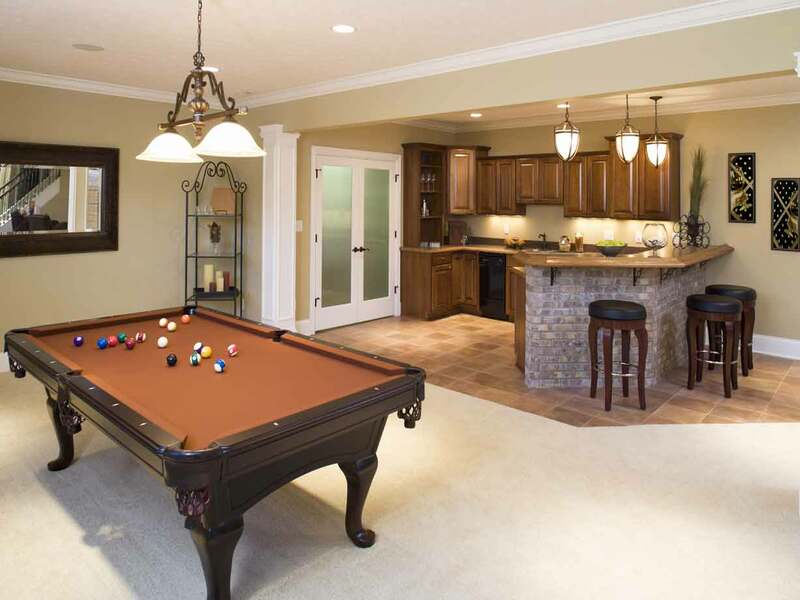 This 1,040 square foot basement (finished living area) has something for everyone in the family to enjoy. 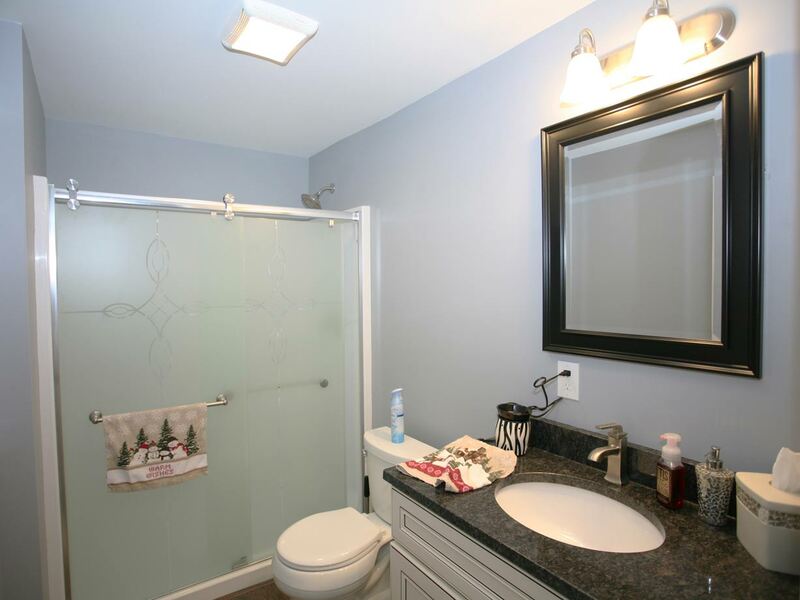 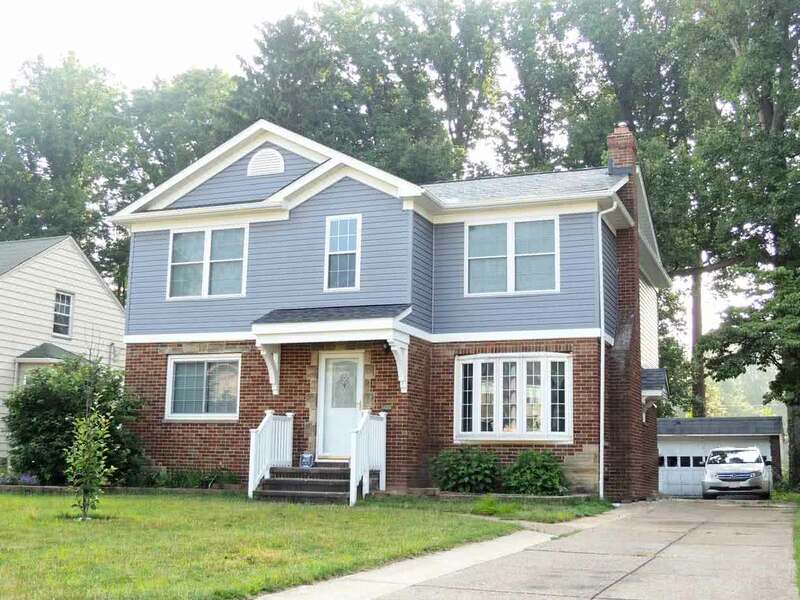 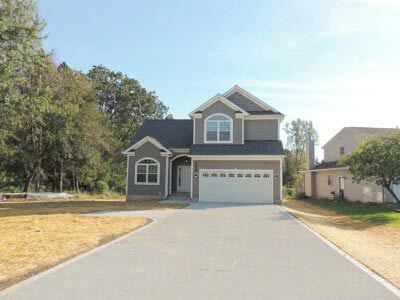 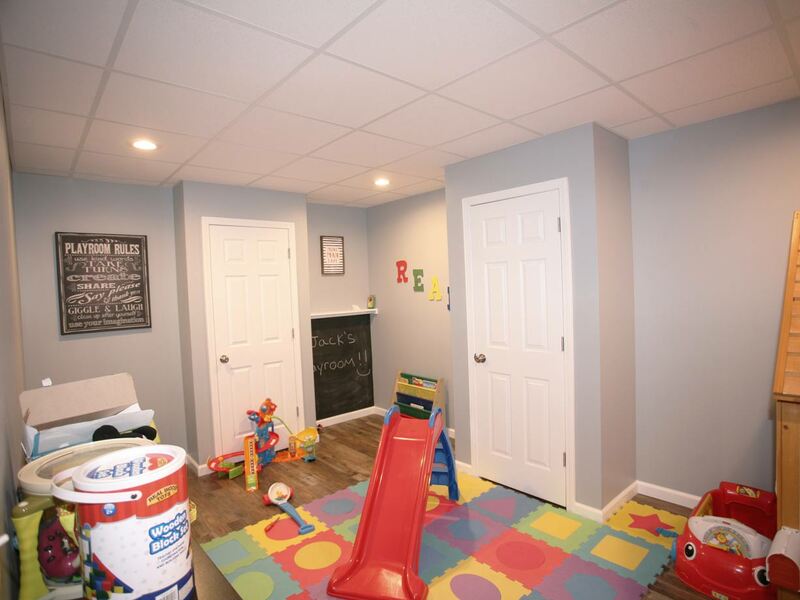 Carpeted stairs lead you down to the finished basement featuring hardwood flooring and recessed lighting throughout. 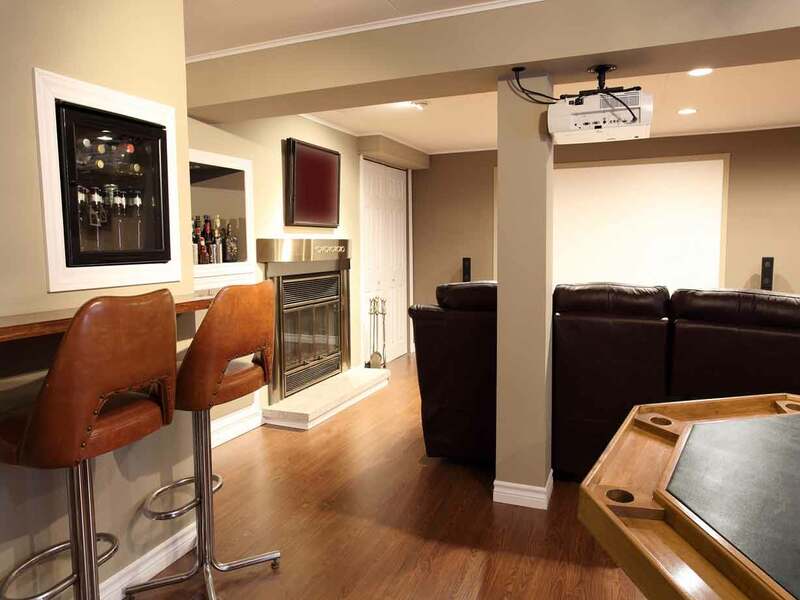 The spacious main area has a wall mounted 75″ UHD TV for viewing from the rear sitting area that is well lit by multiple windows. 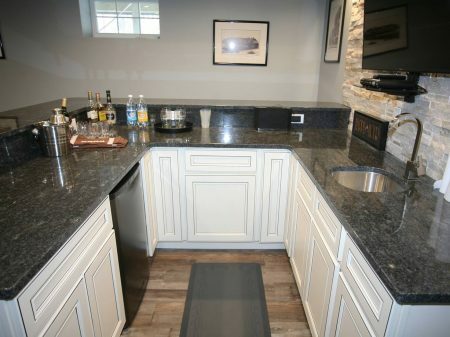 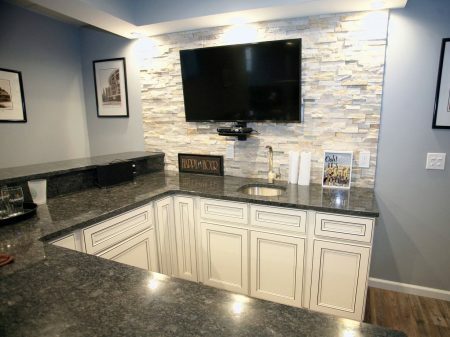 Complementing this area is a custom built wet bar with peninsular seating. 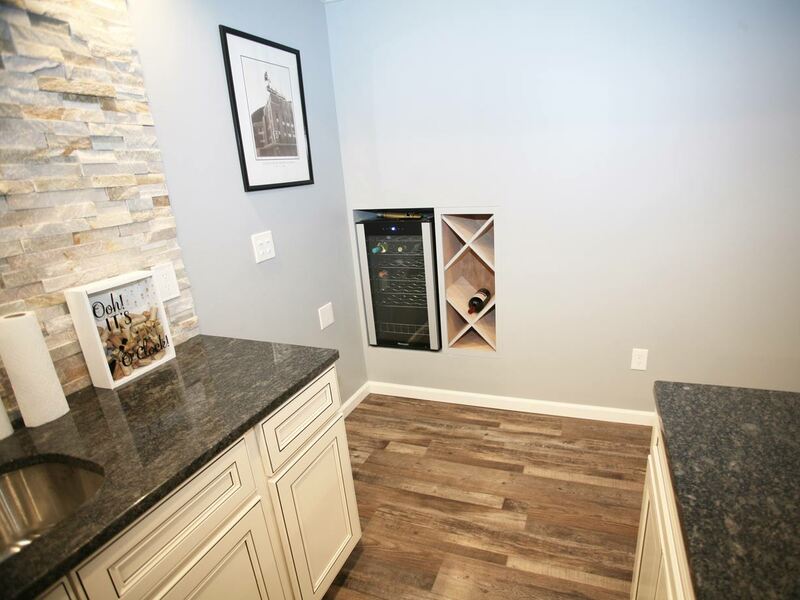 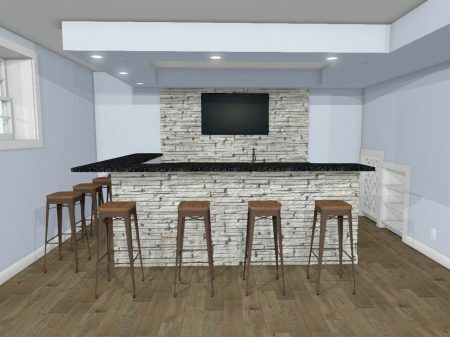 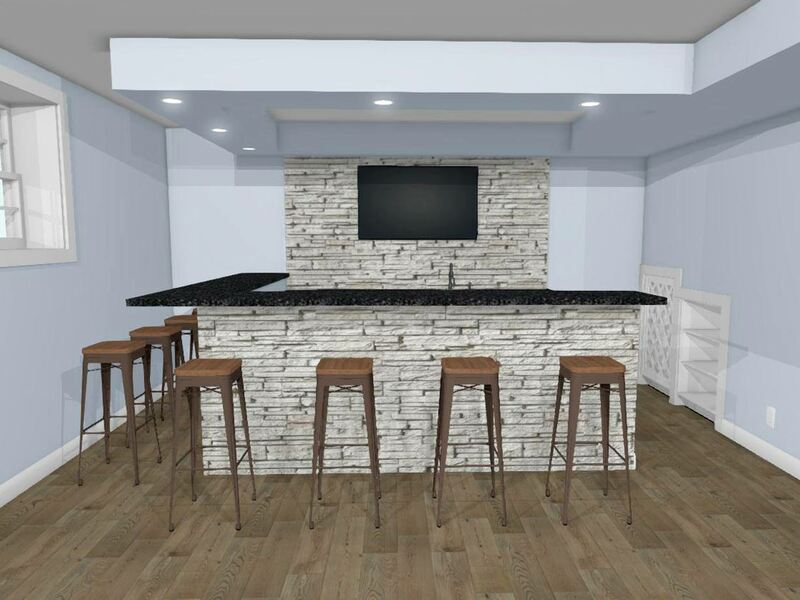 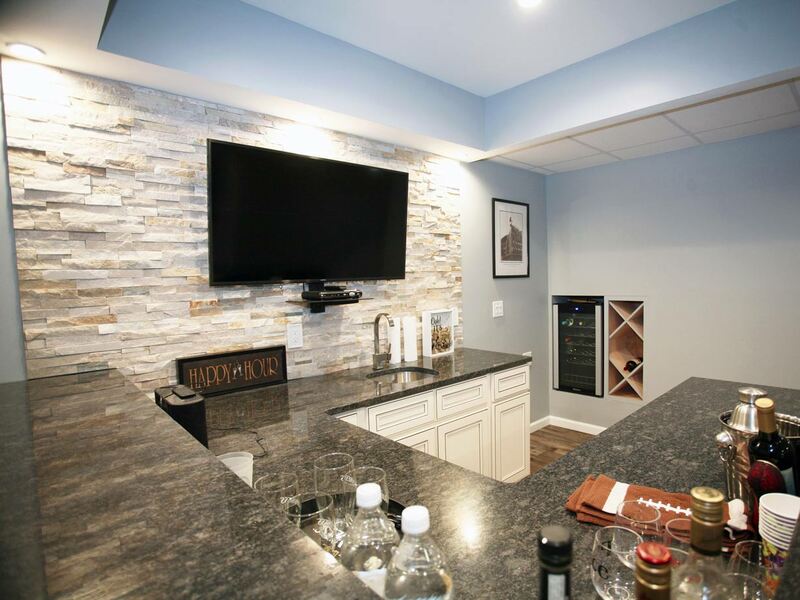 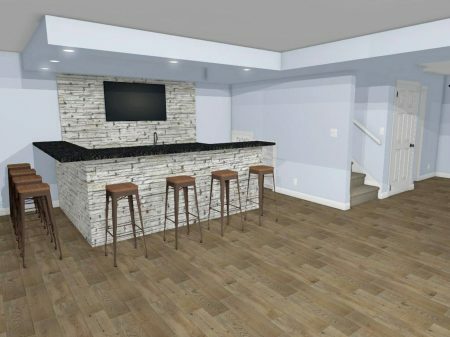 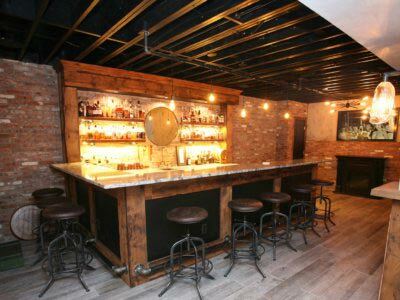 Its features include granite countertops, decorative brick backsplash accenting the rear wall, a second TV, and a custom wine cooler and a wine rack built right into the wall. 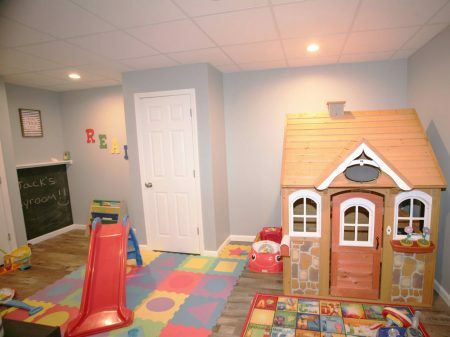 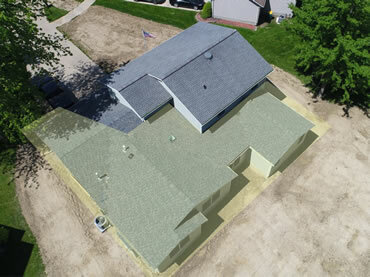 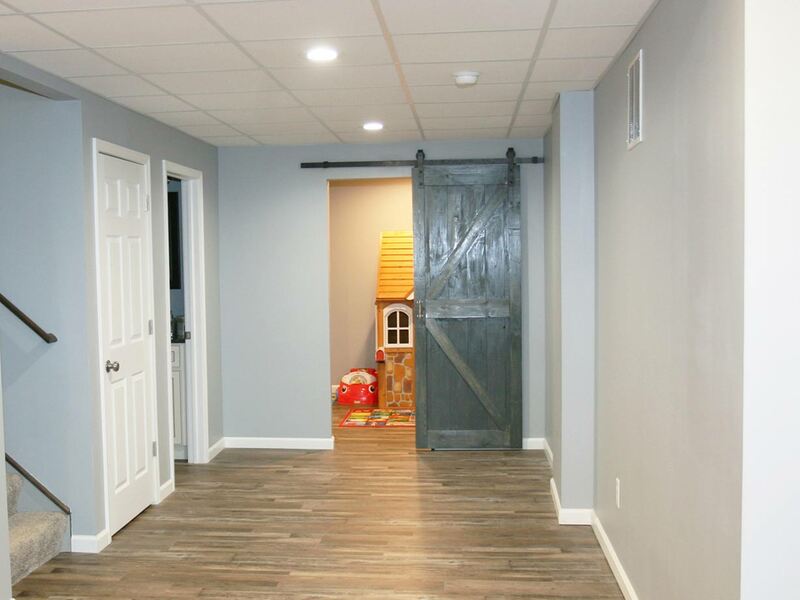 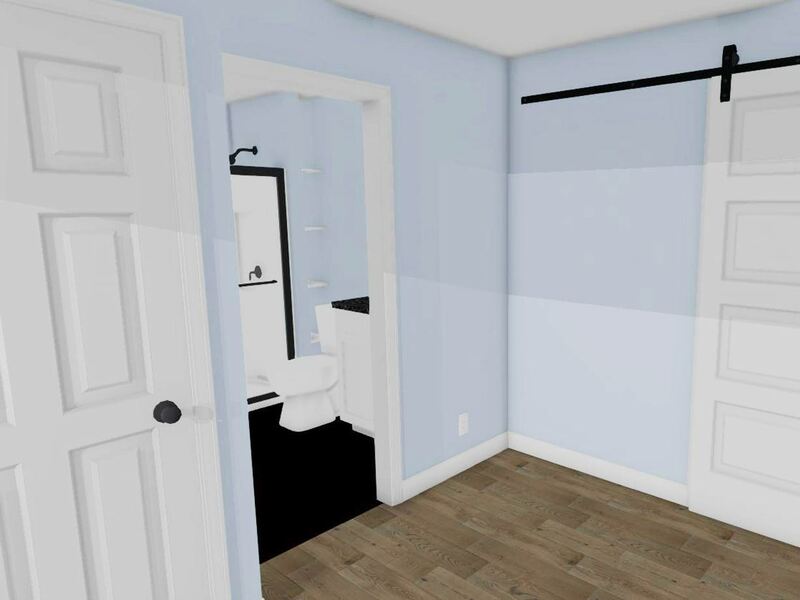 This finished basement also includes a luxuriously appointed full bathroom as well as a fully finished kid’s playroom wonderland with a unique ‘barn style’ entry door.